If you are experiencing an immediate need for dental emergency care during our normal office hours (Monday – Thursday, 8:30AM – 5:00PM), please call the office at 865-982-9662. IMPORTANT NOTE: If you call the office and are unable to reach us, please leave a message. We may be on another line or assisting another patient. We will return your call as promptly as possible. If you are a patient of record (someone who has been seen in our office within the last twelve months) and you are experiencing a need for emergency care, call our office telephone at 865-982-9662. Listen to the recorded message for instructions and the emergency number to call. When you call the emergency number, leave your name, contact number, and the nature of the problem. Someone from the office will return your call shortly. It’s possible to provide your own emergency care for certain oral or dental situations with dental products available at your local pharmacy. 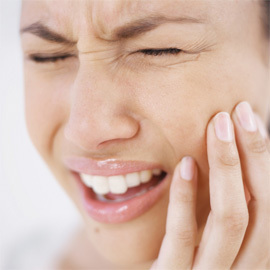 Here are some common dental emergencies and how to handle them. If you have bitten your tongue, lip or cheek, gently wipe the area clean with a damp cloth and apply light pressure until any bleeding stops. Apply a cold compress to the area to minimize any swelling. If you feel the bitten area is severe enough to require emergency care from a dentist, please call the office at 865-982-9662 to schedule an appointment or click the button below to request an appointment. Rinse with cool water, allow ice chips to melt in your mouth, or eat a popsicle to relieve the pain. If you feel the burn is severe and needs medical attention please call the office at 865-982-9662 to schedule an appointment or click the button below to request an appointment. Gently insert a piece of dental floss. Be very careful not to cut the gum tissue. Never use a sharp object to try to remove something that is stuck in between your teeth. If you cannot remove the object, call the office at 865-982-9662 to schedule an appointment or click on the button below to request an appointment. For emergency care of a broken piece of dental work, purchase an over-the-counter denture adhesive. Fill the crown, bridge, or temporary with the adhesive and place back on the tooth. As you press the restoration into place the excess adhesive will be squeezed out. Once the adhesive has set, gently remove any excess from around the edges of the restoration. Call the office to schedule an appointment (865-982-9662) or click the button below to request an appointment. Wear your duplicate or old partial or denture if you have one. Call the office at 865-982-9662 to schedule an appointment to have your partial or denture professionally repaired. If you do not have a duplicate or an old partial or denture that you can wear, use a denture adhesive to repair the crack or break. Some pharmacies carry denture repair kits. DO NOT USE any type of GLUE (Elmer’s, Krazy Glue, or Super Glue). Using these products can ruin the partial or denture and make repairs impossible. Rinse the mouth using warm water. If there is bleeding, apply a piece of gauze (or small clean cloth) to the area and apply gentle pressure for about 10 minutes, or until the bleeding stops. Apply a cold compress to the outside of the mouth, cheek, or lip near the broken/chipped tooth to keep down any swelling and to help relieve pain. Call the office immediately at 865-982-9662. Hold the tooth by the crown (the part of the tooth that you see in the mouth) and rinse off the root of the tooth in water if it’s dirty. Do not scrub it or remove any attached tissue fragments. If possible, gently insert and hold the tooth in its socket, being sure to position it properly. If this emergency care technique isn’t possible or you are unsure of the tooth’s proper position, put the tooth in a cup of milk (or a cup of water with a pinch of table salt) and call the office immediately at 865-982-9662. If you think your jaw might be broken, apply a cold compress to the area and go to the nearest hospital emergency room. Most hospitals in our area have oral surgeons on call 24 hours a day. If possible, call ahead to let them know you are coming.